When Keri Hulme’s first novel, The bone people, won the prestigious Booker Prize in 1985, it was not only New Zealand’s first Booker, but the first debut novel ever to win. Awarded annually to the best English-language novel by a Commonwealth citizen, Hulme was up against Illywhacker by Peter Carey, The battle of Pollocks Crossing by J.L. Carr, The good terrorist by Doris Lessing, Last letters from Hav by Jan Morris, and The good apprentice by Iris Murdoch. When told of her win, Hulme said; ‘You’re not pulling my leg, are you? … Bloody hell – it’s totally unbelievable!’ Hulme was not able to attend the award ceremony in London, so friends and supporters accepted the award on her behalf. 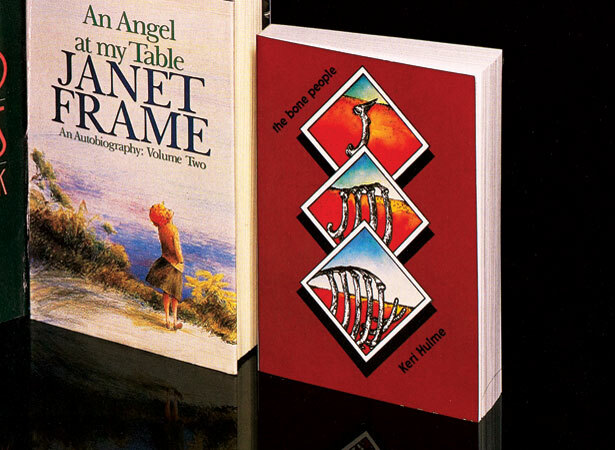 Spiral, a feminist publishing collective, had published the first editions of the novel after Hulme found that mainstream publishers wanted to edit the book. In 2013 New Zealand enjoyed further success when Eleanor Catton became the youngest person ever to win the Man Booker Prize (as it had been renamed) with The luminaries. We have 5 biographies, 3 articles, related to Keri Hulme wins Booker Prize .